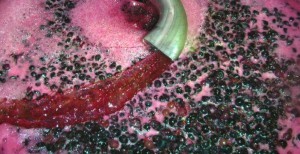 The new vintage – 2010 – is maturing now. 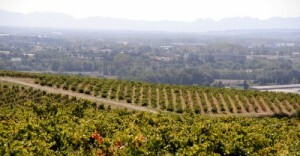 Winemakers, already have a good over view of the quality potential of that new production. Globaly, the winter was cold and damp, filling the undergroung water table, a mild late spring, a summer, in spite if the intense heat spikes, not as hot as ususal and a dry september : advantageous climatic condition for the realisation of great wines. 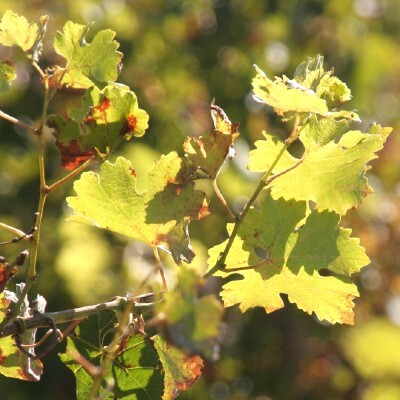 There’s a regret however, wind and cool climate made the blossoming of the Grenache difficult resulting in an important lack of fecundation giving few berries on the bunch of grapes or shot berries. In les Dentelles de Montmirail, Montirius Estate in Gigondas and Vacqueyras appellations, Christine and Eric Saurel assert on the perfect sanitary state of the crop. 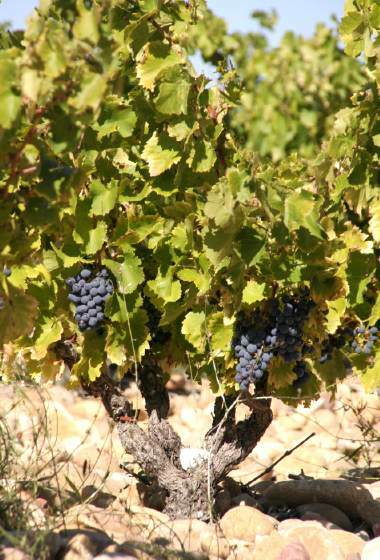 Here, Grenache grew normally, should we see in this fact, the result of an exacting biodymic work in the vine ? "Nice rainfall", one week before the harvest and the association sun and wind gave the best opportunity to pick up grapes on perfect maturity. The harvest spread from september 10th to 30th. 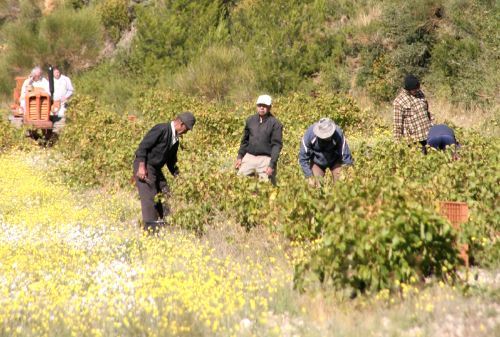 This year, the temperature scale night and day was more important than usual « giving all the required opportunity to extract minerals from grapes ». Freshness and aromatic intensity, deep colour and elegant tannins seem to be the hallmark of the promising vintage ! Same remarks at Domaine de la Rocalière at Tavel, where Séverinne Lemoine lost a sizeable amount of fruit, 25% less because of the shot berries (Grenache is representing 60% of the whole production). Small rainfall in august enabled to fight against the hydric stress. No rot at all, rainfall of september 7 and 8 th’ kept the crop intact. Rosés and whites are fresher and fruitier than 2009. Bunches of grapes used for Lirac, were loose with small berries and thick skins that garanty a sanitary crop and concentration in the wine. At Châteauneuf du Pape, Christian Vœux, oenologist and CEO of Château la Nerthe, told us we have this year « one of the most beautifull vintage he never had in his entire life ! ». This must result from the alternance of fresh and hot conditions in spring then in summer (hot days and cool nights) hence a strong polyphenol synthesis and aromas. As eveywhere round the Rhône Valley, late at every stage of the culture and perfect sanitary conditions. Whites are fresh and aromatic, reds are rich, dark, well structured, very fruity with fine tannins. We harvested 10 days late compared to 2009, that’s results to a early harvest whatever, regarding the harvesting period of the 1980’s. 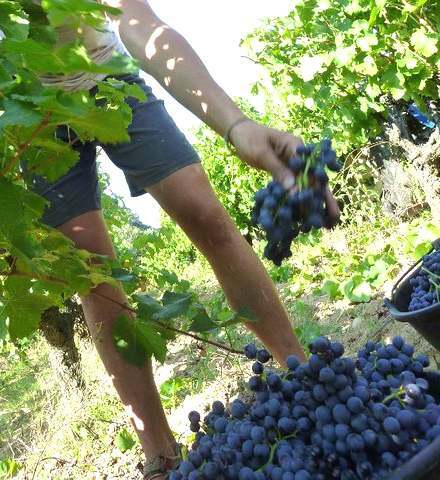 Vincent Durieu, boss at domaine Durieu at Châteauneuf du Pape said the same : shot berries on Grenache, dark colours, small yielding…but he still remains surprised with the global sanitary state, « I never experience such low volatile acidity on reds ! ». « Exeptionnal balance and preserved acidity » he added. At domaine de La Barroche still at Châteauneuf du Pape, Julien Barrot is enthusiast : « the best quality since 2005 ». The shot berries reduced the yields (almost 30%) producing loose and airy bunches of grapes. Grape harvest spread from september 16th to october 4th. Mild weather during the harvest time left the luxury opportunity to make well-timed harvest decisions to wait the ripeness peak. As a result : even stalks and pips were ripe : no reason to be pessimistic ! Stéphane Bourret manager at Bastide Blanche Estate, at Bandol, considers that vintage as a classic for a climatic point of view : no hydric stress in summer, slightly cooler, so later for maturing fruits. Rainfall in june brought about few rot and mildiou on Grenache (loss as big as 5%). The harvest began september 7th (10 days after previous years that are famous for them precocity). Perfect maturity on Mouvèdre with a regular evolution on maturity of each variety (1st : Grenache, 2d : Cinsault, 3d : Mourvèdre) conversly with the former vintages, harvested at the same time. Fresh aromas, good acidity on whites and rosés and high degree of alcohol on reds are the distintive attribute for this vintage 2010. Close conclusion at Milan Estate in Coteaux des Baux, where Henri Milan deplores shot berries on Grenache, but volume hadn’t been affected, this cellar is famous for its very low yielding. The big rainfall in september didn’t spoiled the crop exceptional for its quality. Harvest took place 10 days later the usual period. Very high quality potential. Simon Dauré from Clos de Paulille considers that vintage 2010 as a good year. Humid spring, the violent wind intake of the Tramontane devastated Grenache when branches were soft and young. Summer was quite dry, a small rainfall during the harvest time enables the maturity to go on. Very small crop partly due to shot berries on Grenache : yielding harly excess 20hl/ha here, but the crop was particularly sound. Wines are very dark and fulbodied : a top quality vintage !